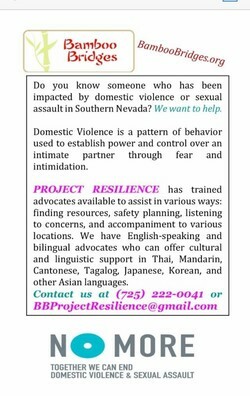 - We encourage you to get involved with Bamboo Bridges and our mission in building awareness of the issues that APA women and their families confront in their lives. - Join our list serve, follow us on Twitter, become our friend on FaceBook, spread the word about our events, educate yourself and others, attend our events, and empower yourself. We need more people who have Asian language skills to become interpreters. For more information on requirements, click here.